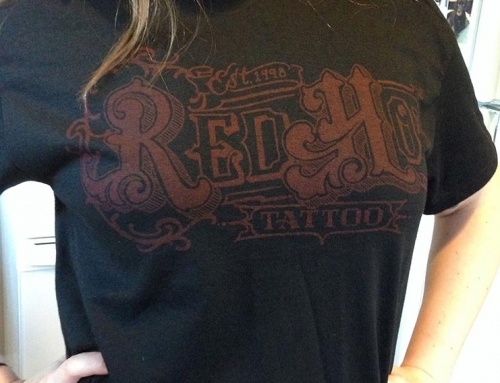 Its that time again folks! 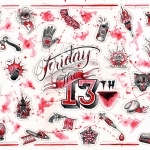 This Friday is Friday the 13th! 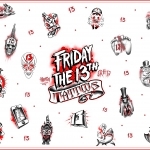 Come on down and get yourself a $31 Friday the 13th inspired tattoo. 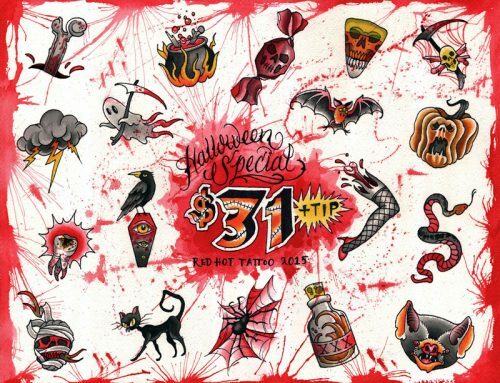 Anything off these pages is just $31 (plus tip) so bring your friends! As usual with these specials, it will be first come-first served. 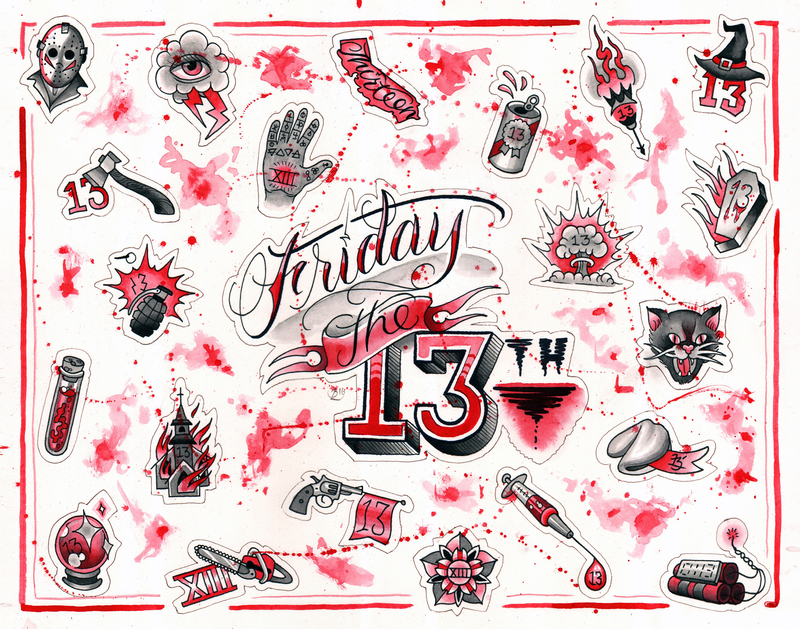 No need to call ahead, we are doing these $31 tattoos all day THIS FRIDAY…….FRIDAY THE 13TH!!! 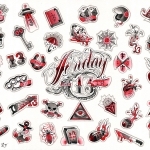 We will open at noon as usual and stay open until we get everyone tattooed. Last year was a smashing success, and we expect an even bigger turnout this year, so get here early to avoid a long wait! 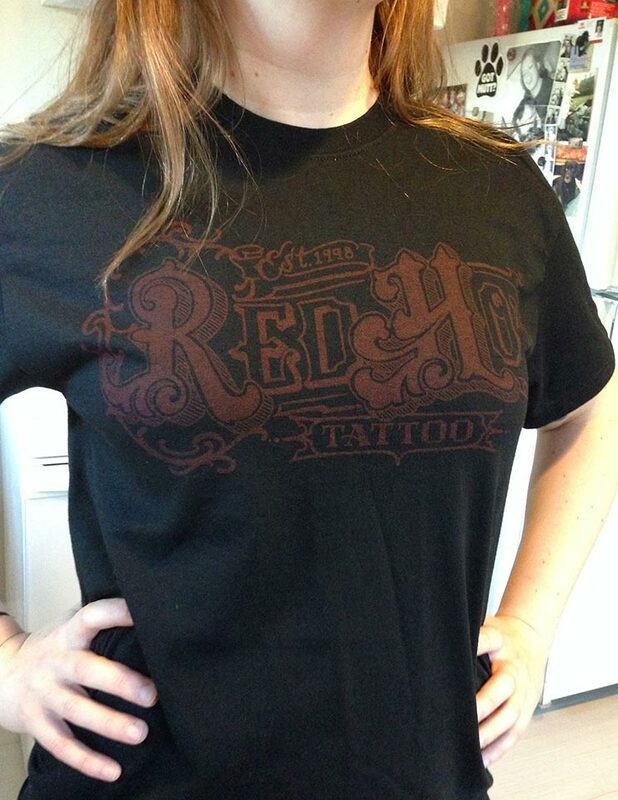 We will have some bigger designs available for discounted prices for those of you not wanting something small. We look forward to seeing everyone on Friday! !